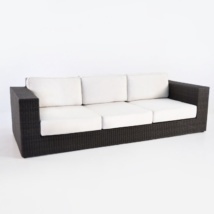 Enjoy comfort and a chic look with the Valhalla Outdoor Wicker Sofa! 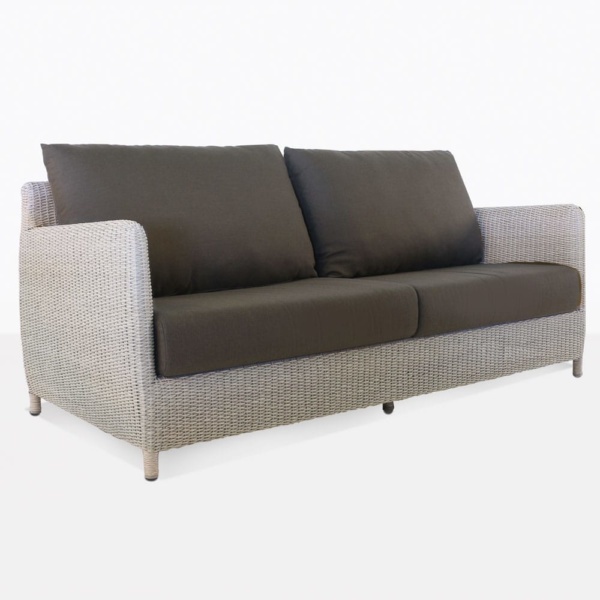 Our Valhalla Wicker Collection includes a sofa and club chair. 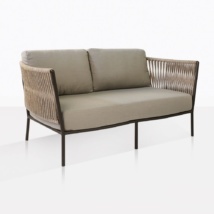 Combine several of these pieces for a welcoming and elegant outdoor space. Valhalla tips a hat to classic furniture of the early 20th century with its wide seat and curved lines, while the new top of the range materials make the whole look sing with stylish sophistication. Imagine your beachfront property, with a space that encourages you to relax and unwind. 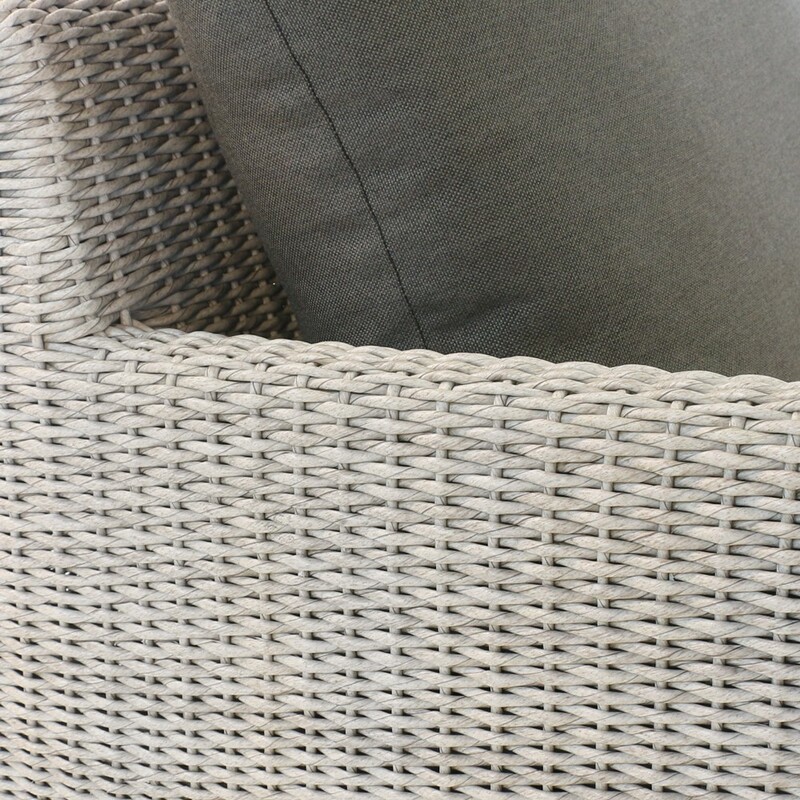 Place your Valhalla Outdoor Wicker Sofa front and centre facing the view, be sure to put a Valhalla Wicker Club Chair on either side, and a gorgeous coffee table in front. Try a Raw concrete variety to make the look a little more urban, or for a classic elegance, perhaps a teak coffee table. 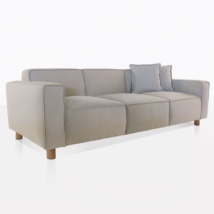 This will fit nicely as you prepare the canapés and get ready to do some very good relaxing! Maybe your patio space is smaller, but you still want somewhere that can alternate between putting your feet up under some shade with a good book, and somewhere to entertain?! Simple, sophisticated and so chic, the Valhalla Sofa will keep you enjoying your open air living room – just hang a gorgeous Sunbrella® Umbrella overhead and get ready to breathe easy. Our Valhalla Collection is made using the best materials for outdoor use. Beginning with the robust strength of the powder coated aluminum frame, which avoids corrosion and keeps furniture looking tip-top outdoors! 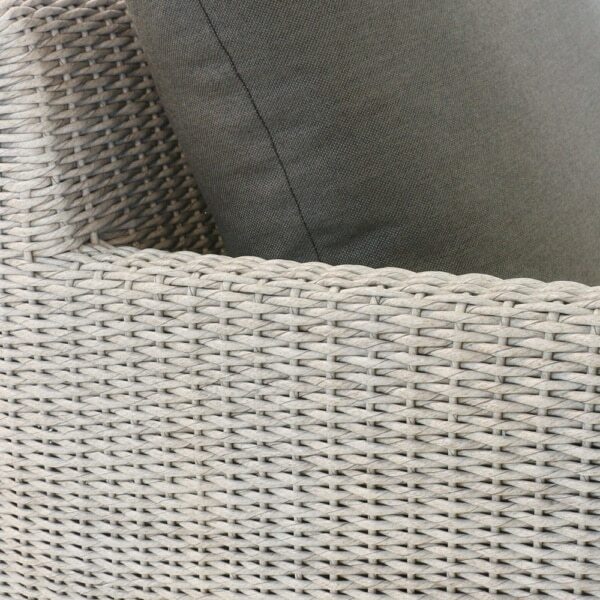 Then our outdoor wicker is through dyed, UV treated and looks divine outdoors. Finally, dressed to impress, the Valhalla Sofa comes with free Sunbrella® cushions, giving you the best, most luxurious materials to enjoy life outdoors! 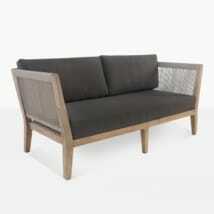 To order your Valhalla Outdoor Sofa, call us today! 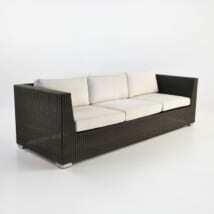 We are happy to help you find the best pairings for this magnificent piece of modern outdoor garden furniture!